After several weeks of increasing tension over the prospect of resumed hostilities between the United States and North Korea, Kim Jong Un's regime backed down when their erstwhile ally China indicated it would participate in the severe new UN sanctions which included coal. Chinese pressure on Pyongyang was a triumph for President Donald Trump's puglistic posturing. Nevertheless, Trump White House chief strategist Steve Bannon, gave an unfiltered interview which undercut this foreign policy achievement. 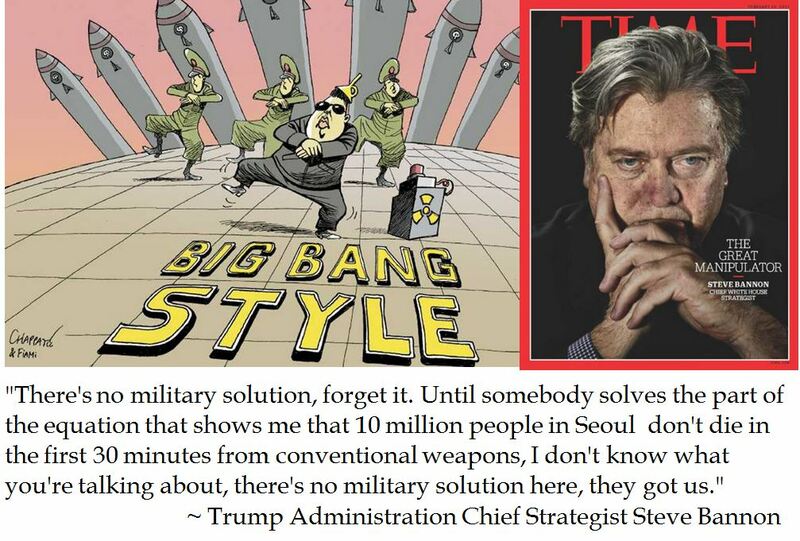 Bannon's wide ranging interview with the liberal American Prospect magazine admitted that America did not have good military options if hostilities broke out with the DPRK, because of North Korea's array of conventional missiles pointed at Seoul, which is only 35 miles away from the Demilitarized Zone. This may be true but it is an admission against interest from a high ranking Trump Administration official. This policy position at odds with public statements coming from the Trump Administration. 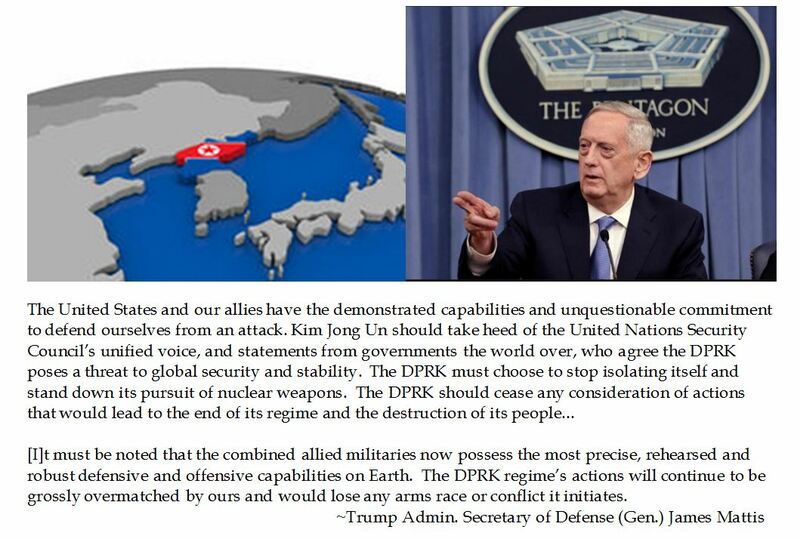 Such a statement could well be misconstrued by Kim Jong Un as a signal that the US might not back the "fire and fury" rhetoric and stoke further provocations from Pyongyang. If Bannon's brief reflects the Trump White House perspective, it validates DPRK dominance with conventional missiles and encourages further ICBM and nuclear pursuits. One of the factors which sparked the Korean War (1950-53) was that South Korea was easy pickings. The United States withdrew most of its post World War II peacekeeping forces from the Korean peninsula in June 1949, leaving only a small advisory group. Compounding this perception of weakness South of the 38th parallel occurred in March 1949 when US Pacific Commander General Douglas Mac Arthur's articulated the American defense perimeter in the Far East. Mac Arthur's sphere of US interests in the Far East did not include China nor Korea. 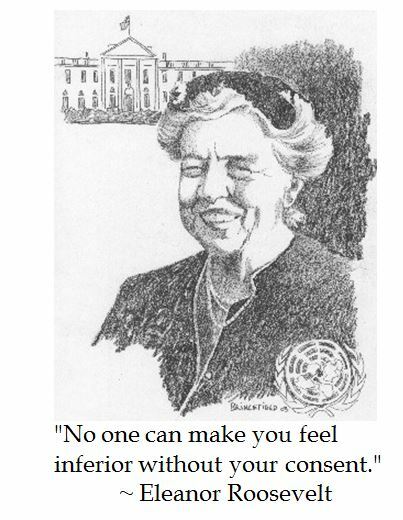 This weltanschauung was echoed by Truman Secretary of State Dean Acheson during a National Press Club speech in January 1950. These subtle signals on US intentions towards Korea gave the green light for the Soviet backed North Korean Communist regime of Kim Il-Sung to launch an invasion of South Korea on June 25, 1950. 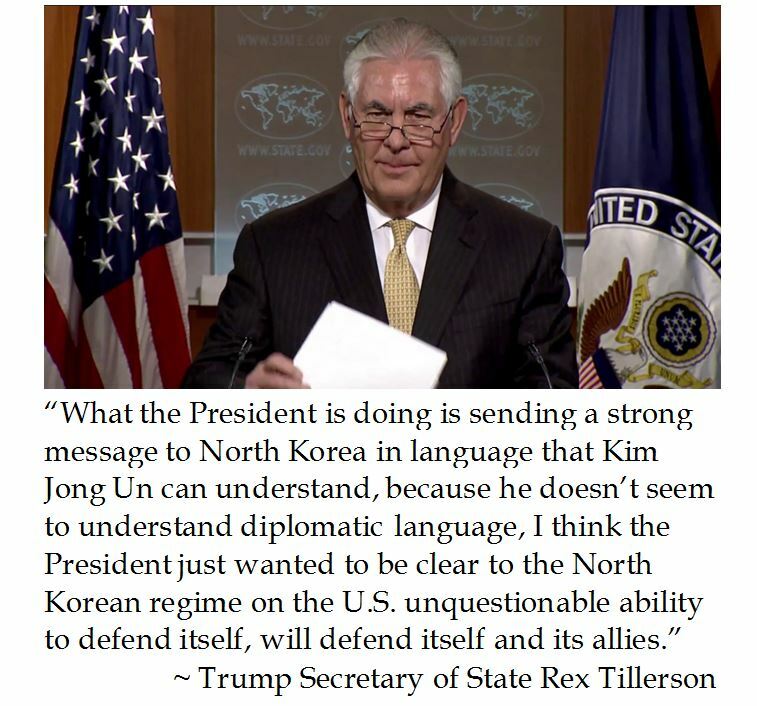 Current North Korean dictator Kim Jong Un (the grandson of Kim Il-Sung) seemingly backed away from nuclear brinksmanship when the Trump Administration talked tough, had overwhelming conventional and strategic forced arrayed against the DPRK and it mustered together a convincing coalition, including China, against Pyongyang's provocations. Bannon's blurting out that the US did not have good military options because of the targeting of Seoul could well be seen as a green light for more aggressive actions by the DPRK. One wonders why Steve Bannon would make this woeful quotation. Was it a solipicism, strategery or stupidity. From a conventional military perspective, Bannon's analysis is correct. Hostilities with North Korea could result in catastrophic casualties in Seoul That is why war would be a last resort. 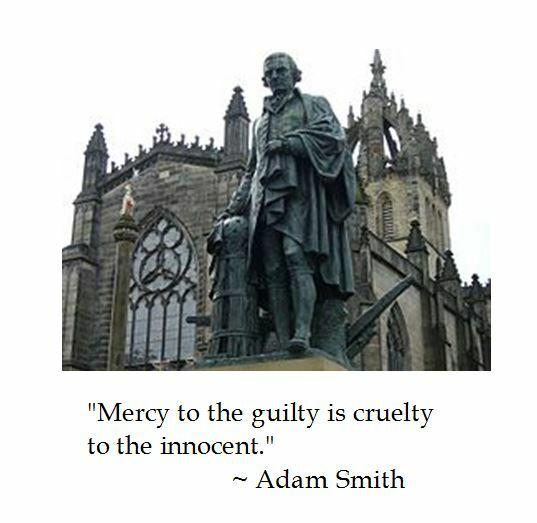 No one needs a philosopher king's right hand to perceive that. Why did Bannon give such a wide ranging interview with a liberal magazine like American Prospect? There are rumblings that he thought things were "off-the-record". Really? In a media environment which spends 92% of nightly news air time reporting anti-Trump news, will an insider interview be cast more sympathetically? 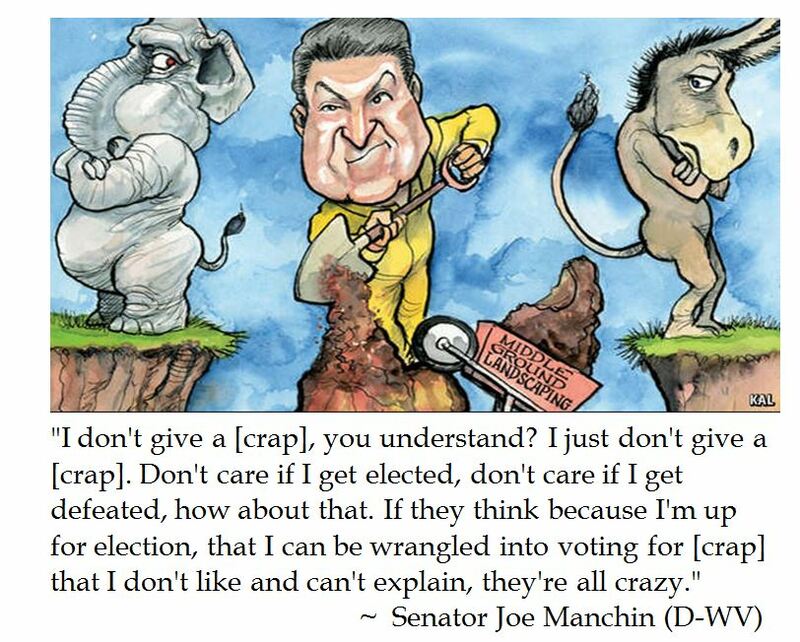 How did that work for "The Mooch", a.k.a. short time Trump Communication Chief Anthony Scaramucci. Before joining the Trump Train, Bannon took over Breitbart News and proudly made it into a polemic platform. He should know better about today's media environment. Maybe it was strategery (sic)? Bannon has been quoted as saying that he did not expect to last more than eight months in the Trump White House. This interview might have been an attempt to make it a self fulfilling prophecy. It is dubious that an anti-establishment populist like Bannon would intentionally sabotage himself just to be right, he may have seen writing on the wall, and this interview could allow him to leave on his own terms and advance his ideological cause. What might be overlooked from Bannon's American Prospect interview was an attempt to undercut the National Security Council Chair Gary Cohen's approach to work with the People's Republic of China. The North Korean's backed down after China stepped in and voiced a willingness to apply severe sanctions against the DPRK. The Chinese might not be willing to remove a thorn from America's political side if there is a trade war. In 2013, Bannon revealed that he was a Leninist who wanted to destroy the political landscape which took down the political establishment and the press to reset it towards American economic nationalism It seems Bannon's preferred method is a trade war rather than a shooting war with a proto-nuclear nation like North Korea. During an interview with Hugh Hewitt on MSNBC, former Southern Command and Supreme Allied Commander in Europe former Admiral James Stavridis used a couple of pop cultural references to illustrate the conundrum vis-a-vis North Korea. 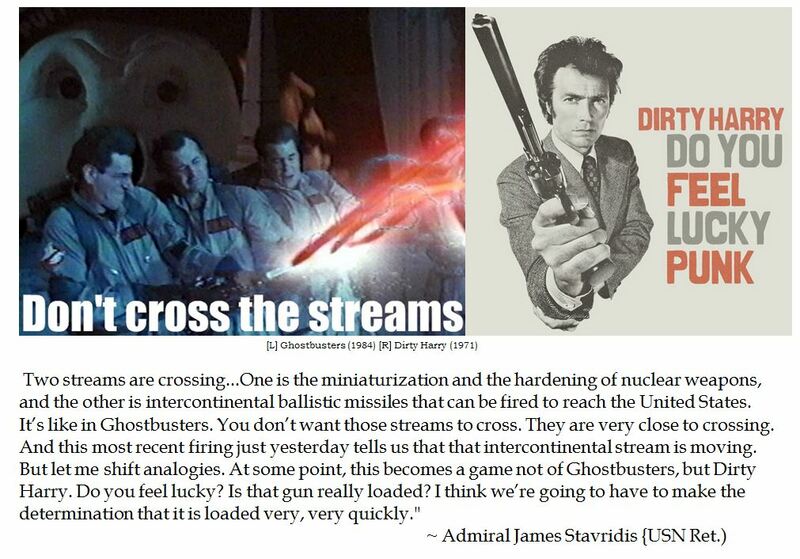 Admiral Stavridis likened the existential threats of the miniaturization of nuclear warheads and ICBMs which can reach the continental United States to the danger of crossing the streams in Ghostbusters (1983). 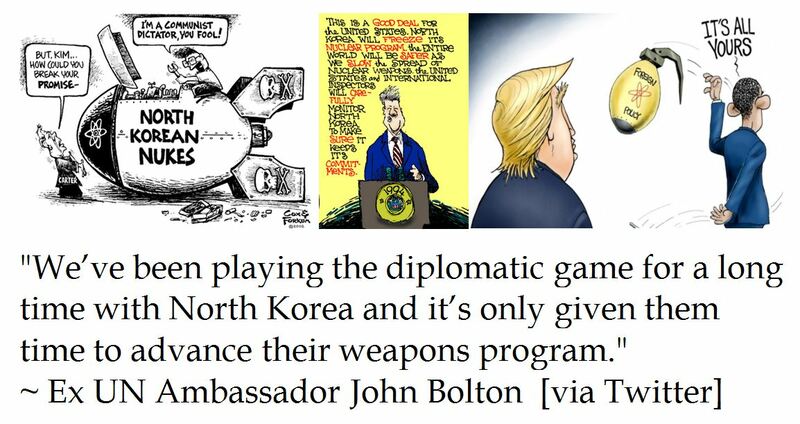 To illustrate the advancing threat, Stavridis analogized the North Korea situation to the punch line from Clint Eastwood in Dirty Harry (1971): "Do you feel lucky punk? " North Korea prides itself on being the shrimp which rules the whale through Juche (political independence) and bellicose bluster backed by a large standing army along with an aggressive nuclear program. Juche is somewhat illusory as Pyongyang is dependent on trade with China and uses its weapons programs (both nuclear and missile programs) as a means to threaten and profit. Despite there just being an armistice which ended the Korean War in 1953, there has been a trend since the 1994 Clinton-Kim "Agreed Framework" of non-nuclear proliferation to diplomatically buy peace with Pyongyang, all the while while the Kim regimes continued nuclear testing, ballistic missile tests and close contacts with Iran, Syria and potentially non-state terror groups. 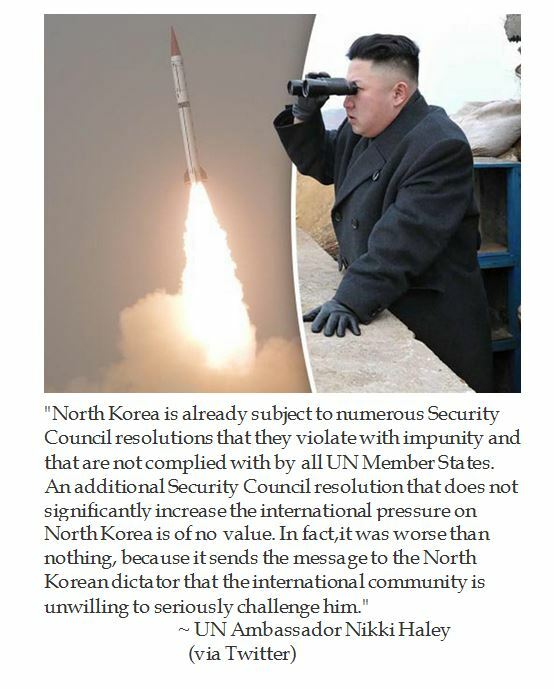 After President Trump's United Nations Ambassador Nikki Haley achieved an unanimous 15-0 Security Council vote (including the Russian Federation and the Peoples' Republic of China) for sweeping e economic sanctions against the Hermit Kingdom, North Korea warned that there would be a thousand fold revenge upon the United States. 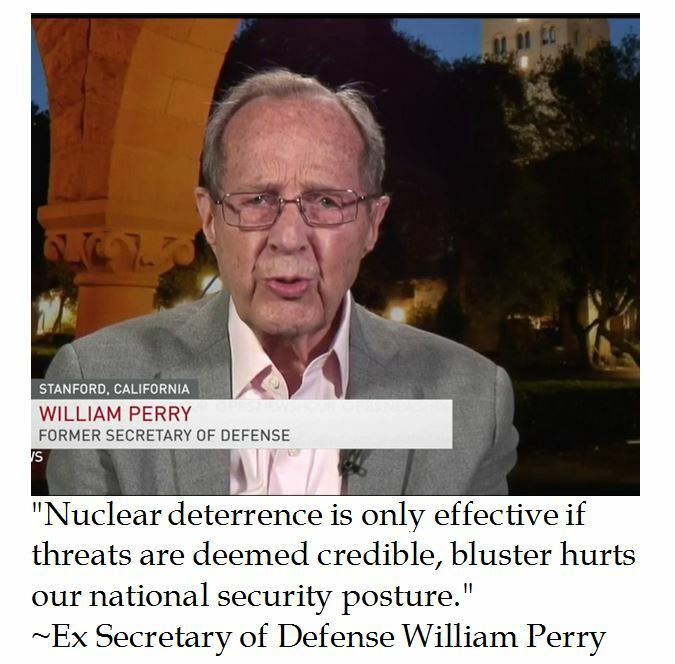 Moreover, there have been reports in the West that North Korea has advanced in miniaturizing nuclear warheads that could hit the continental United States. 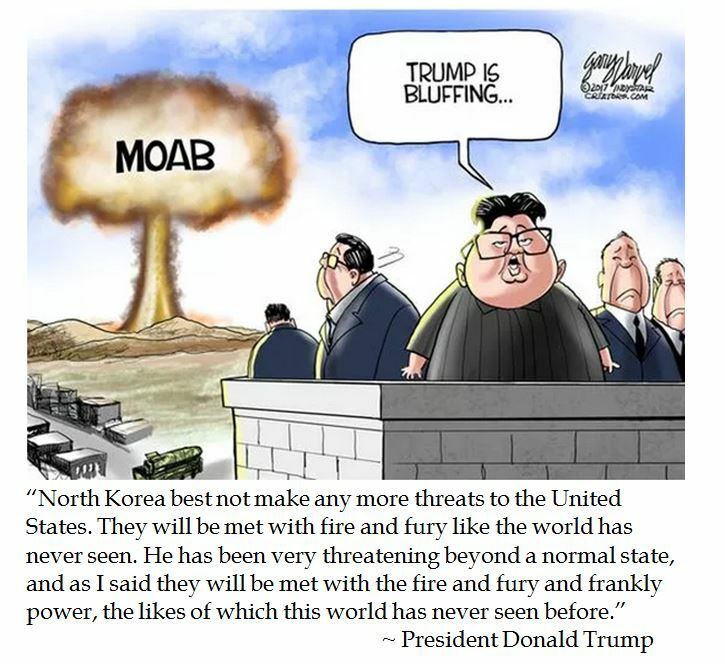 In this explosive environment, President Donald Trump warned: "North Korea best not make any more threats to the United States. They will be met with fire and fury like the world has never seen." Some might consider this returning bluster for bluster. But the United States has three aircraft carriers in the region. Moreover, Spirit B-2 aircraft (which can carry nuclear bombs) have overflown the Korean Peninsula. Furthermore, considering how many former Marines are in key positions in the Trump Administration (Sec Def Gen. James Mattis, Joint Chiefs Chair Joe Dunford, NSC Advisor Gen. H.R. McMaster and Chief of Staff John Kelly) and the deference which President Trump gives to the military, there is little doubt that he will act if they determine that North Korea is an existential threat to the United States.